I love the colour blue. …and on rare occasions when I’ve seen the blue azure sea in the Caribbean where (half of) my people are from. 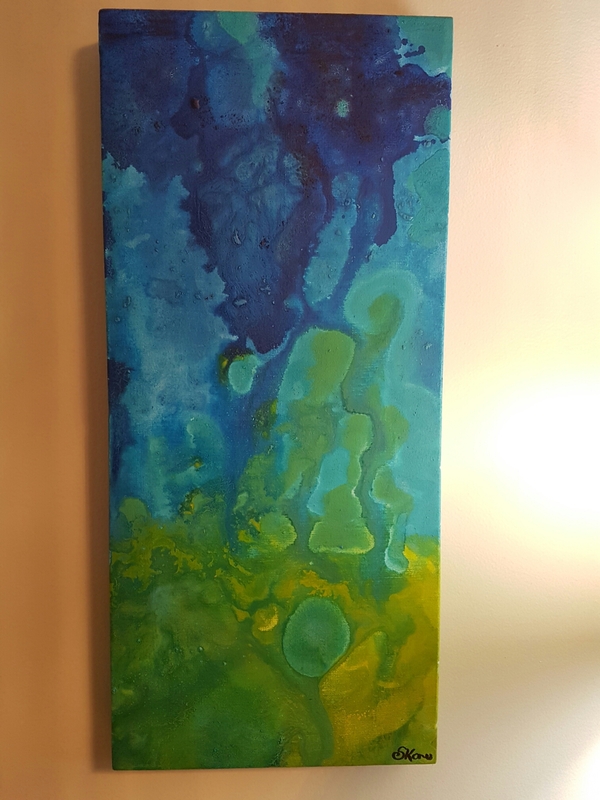 My latest work is a blending of greens, blues, and yellows. 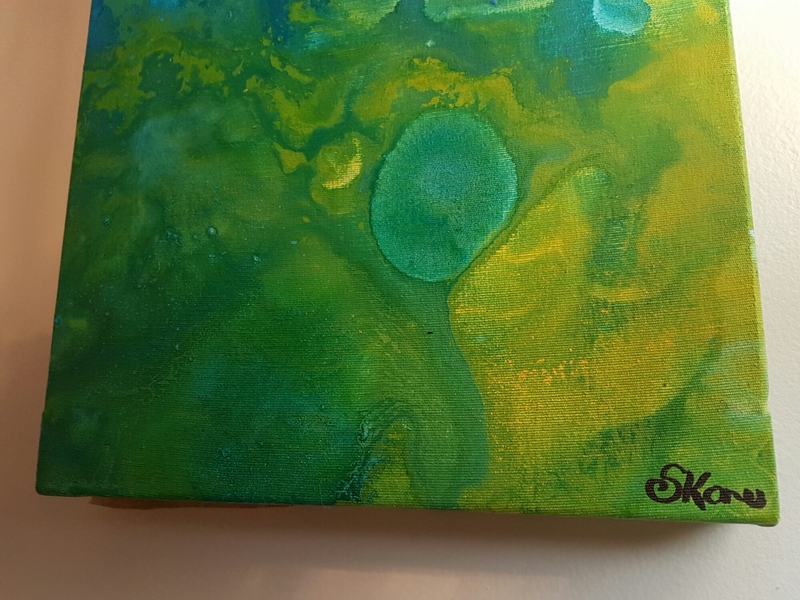 I used “swirling” techniques to bleed colours into each other and make the colours lead endlessly into each other. Note how vivid the yellows came out. I was super pleased with that. Green is quickly becoming my go-to. I suppose it has something to do with my desire for spring to return to Southern Ontario, and for my garden to bloom in the sunshine.